We gather at an exciting time. A time when together we are about to launch a 10-year plan to ensure every Irish child has the best possible start in life. You have been invited here today to set out your priorities and to have your say ahead of the launch of Ireland’s first Early Years Strategy in the Autumn. It will be a big moment. Every part of Government will come together under the leadership of my Department to set out policy goals which will deliver for generations to come. At the outset let me acknowledge the role many of you have played and continue to play in the development of the strategy. The work and the deliberations have been underpinned by the best possible research and evidence, not least the voices of children themselves, as well as the recommendations in Right from the Start, the Report of the Expert Advisory Group on the Early Years Strategy. The strategy will set out the Government’s comprehensive plans to improve the lives of young children and their families. This evening, accompanied by my Assistant Secretary for the newly dedicated division for Early Years Care and Education in my Department, I will present our progress to date with this strategy to a Cabinet Committee chaired by the Taoiseach. I will use this opportunity to look for each Minister’s support to ensure that it truly is a child centred, family centred, cross Government strategy. This morning, I want to provide a glimpse of the action framework that will guide this Strategy. In doing so, I want to extend a further, and final, opportunity to you to name your priorities. As we all know, early childhood is a time of great excitement, discovery and learning – during which children develop key skills and talents which will remain with them for the rest of their lives. My aim is to ensure we make these early years better so our youngest citizens don’t get left behind, and importantly, don’t start behind. Let me set out a few actions we hope to take to reach each of these inter-related goals. Clearly they represent only a small part of what we hope to include in the strategy, but they should give you a flavour. For Goal 1: All the experts, including children themselves, recognise the essential role played by families in nurturing healthy child development. That is why strengthening families will be at the heart of this Strategy. We will seek to offer greater opportunities to balance work and home life through parental leave and flexible working. We will seek to equip parents with the skills they need for the most important job of all – parenting! A new national model of parenting supports, ranging from universal to targeted, will be agreed – making parenting supports and high quality programmes more accessible to all families for the first time. The programmes will range from providing information on the importance of play in a child’s development, to assistance with developing positive relationships and behaviours, to supporting positive health. We will also pilot the delivery of universal parenting programmes through high quality early childhood care and education settings. 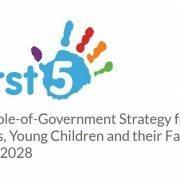 This will demand a new and better way of working within and across services for young children and their families, including greater collaboration across the child serving workforce – this will be a recurring theme throughout this Strategy. Giving high quality early years care and education practitioners a role in providing parenting supports is in keeping with recent developments in the provision of early childhood care and education in other countries whereby such settings are being re-designed to become hubs of support for young children and their families. 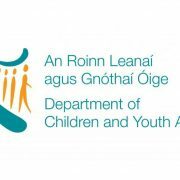 My Department will lead on this very significant and welcome development, in partnership with other relevant Government Departments and Agencies, including Tusla and the HSE. A new Parenting and Family Policy Unit in my own Department will be established to drive this important cross agency work. â–ª encourage healthy lifestyle choices among parents and young children. Clearly, the steps we take to support parents through this Strategy will be critical to achieving this goal. Moreover, high-quality, comprehensive pre-conception, prenatal, and postnatal care, coupled with primary, preventive and specialist healthcare, including immunisation, screening and surveillance, will be essential. The Strategy will recognise the very significant developments in relation to these areas in recent years, and, while reaffirming existing commitments, the Strategy will identify additional actions. I am very encouraged by our deliberations with the Department of Health and am confident that the ultimate actions to deliver on this goal will be both significant and transformative. The final goal, Goal 3, is positive early learning experiences. You will be aware of recent progress that has been made. An unprecedented 80% increase in investment for early childhood care and education has been secured over the last three years. Clearly this came from a very low base and we continue to trail international norms, but I am determined to build on this. We need significantly more investment in early years care and education and the Strategy will provide fresh impetus for this. But more funding, even if it reaches record levels, is only part of the answer. We must ensure public funding is allocated efficiently, fairly and that it is targeted in the correct manner to deliver the best results for children. Investment must continue to reduce the out of pocket cost of early childhood care and education to parents. It must also compensate providers so that they can deliver early childhood care and education on a sustainable and high-quality basis. It must attract and retain a well-qualified workforce, enabling continued professional development across their career. It must create more supportive working conditions so that the workforce feel valued, and so that they have time for activities such as planning and engaging with parents. That is why, as a result of this Strategy, over the next decade we will seek to radically reform the funding model for early childhood care and education. 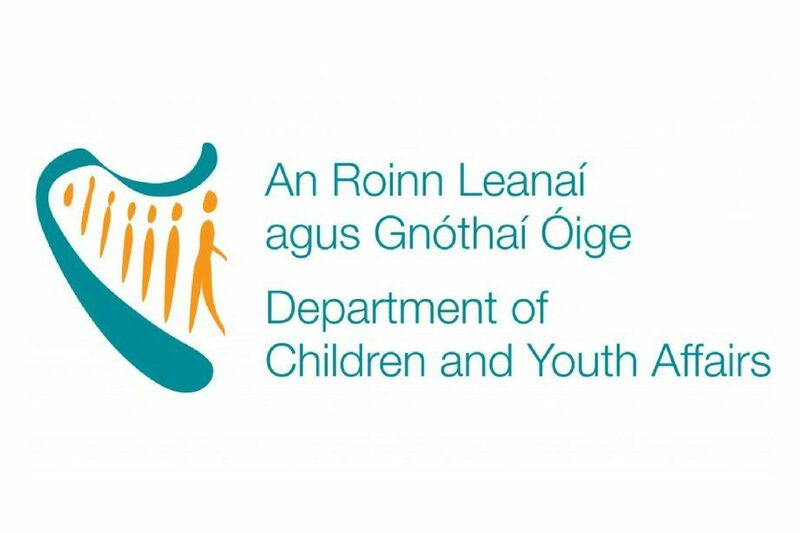 An independent, international, expert panel will be appointed this autumn to review the current funding model and to make recommendations on one which will deliver accessible, affordable, high-quality childcare. With this group’s assistance, my Department hopes to devise a voluntary / opt-in contract to deliver high-quality early childhood care and education to young children and their families. In return for meeting agreed quality criteria under this contract, providers will receive additional funding. It will be the role of the expert panel to propose these quality criteria, which will of course be subject to wide consultation. Just as with the September measures introduced last year, not every service will choose to opt in, some services may opt to continue as is and this of course will be respected. They will continue to access the standard Affordable Childcare Scheme and ECCE , but those that opt in will receive more funding . The new model will allow us profile early years care and education services and introduce a DEIS type model in particular areas of disadvantage. This will provide additional resources to transform the early years of these children and families. Through the proposed reforms we will ensure an equitable approach to quality for all children under 6, be they babies or pre-schoolers. We will ensure that both the care and the education elements of early years provision are supported. Finally, the funding model will recognise that high quality services are dependent on a valued workforce, whose working conditions support retention. We have already started on a journey towards a new funding model through the Affordable Childcare Scheme, which will soon merge existing childcare funding schemes into a single scheme. But this was never going to be the end point – in fact it is just the start of our journey. We will also review existing governance arrangements with a view to, over time, establishing a more consolidated and streamlined function to discharge responsibilities in relation to planning, funding and quality support of early years care and education services. We will seek to enhance the inspection regime. We will take significant measures to raise standards in informal or home based childcare so that many more high quality or regulated childminders can access government childcare schemes. These issues are complex, so they will take time to tackle, but I am determined that, through this Strategy we will create the conditions for a competent system in early childhood care and education. Even when young children spend most of their waking hours in early childhood care and education, it is again parents who have the greatest influence on their child’s early learning. If you read to children, if you play with them, if you give them your attention, if you take other steps to encourage learning, you will ground children’s success in learning. For this reason, the Strategy will also prioritise a range of actions to assist parents (and families) to support early learning, including for example, supports for parents and toddler groups, supports for early literacy, and actions to improve parental engagement with pre-schools and primary schools. In conclusion, I have given you a flavour of our strategic goals. We will strengthen and support families. We will optimise physical and mental health. We will improve early learning experiences. Have we got this right? I am keen to hear your views today, including the views from our panel and from our special guests Dr. Helen Penn and Dr. Eilis Hennessy. Your views will provide further guidance as we move to finalise this tremendously important Strategy. I look forward to joining you again in autumn to launch of this Strategy as we collectively embark on a very committed path of implementation. See the DCYA Website for more.